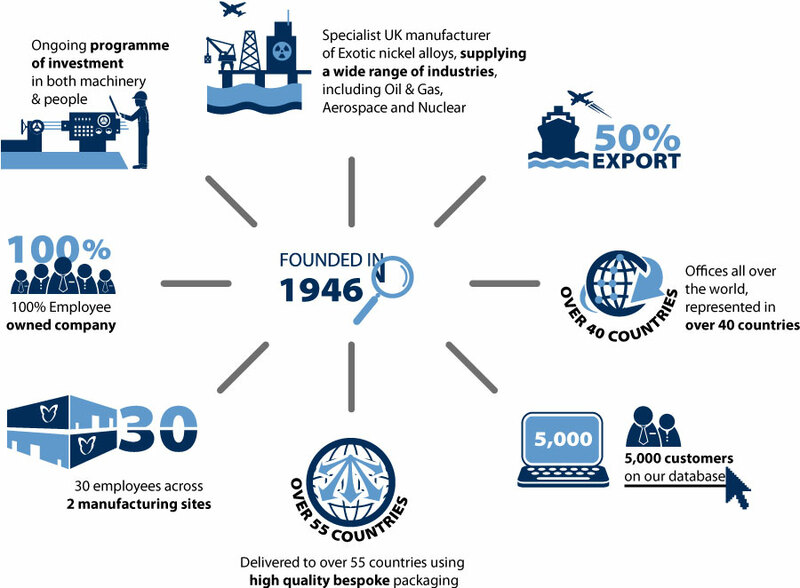 Operating from two state-of-the-art factories and a network of 45 international offices, AWI is a premier supplier supporting 15 demanding industries, including aerospace, nuclear, automotive, chemical, electronic, medical and oil and gas. AWI’s other very important customers are those that require a small quantity of wire for their specialist and often unique application. Extensive investment every year in new machinery, employee development, and 200 tonnes of EU/DFARS starting stock material keep us at the forefront of the wire industry. This means we can provide industry-leading response times, with customers able to order wire from 0.025mm (.001″) to 21mm (.827″) in small batches and medium volumes. Our R&D facilities enable us to constantly explore new materials and processes, in order to expand our range of products and services. Customers regularly compliment us on the technical expertise and support we provide. 100% employee-owned, that creates interest, loyalty and commitment from every member of staff. ‘Emergency Manufacturing Service’ – where your wire is made in just a few days. Approvals AS9100 and ISO 9001 and ISO 14001 and BS OHSAS 18001.